Having achieved record attendance levels this August, Defected Croatia festival has now sold out Early Bird tickets for 2019 and released its impressive Phase 1 artist line-up for next year. What will be the fourth instalment of the ultimate house festival is already shaping up to be a huge moment in the dance music calendar from 8th– 13thAugust, with Derrick Carter, Dimitri From Paris, Eats Everything, Honey Dijon, Nightmares On Wax, Masters At Work, Todd Terry and more, with another set of artists still to be announced on 2nd of November. Topping the bill will be Armand Van Helden making his first ever appearance at the festival. The luminary DJ and producer, world famous for hits such as ‘You Don’t Know Me’ and ‘I Want Your Soul’ with a career spanning nearly 30 years, has headlined stages for Defected in the UK and Ibiza for many years, making this his highly-anticipated Defected Croatia debut. He is joined by fellow long-time house devotees Nightmares On Wax – a firm favourite at the festival, disco aficionado Dimitri From Paris, the sublime Honey Dijon and Bristolian party-starter Eats Everything, covering the full spectrum of world-class house music. 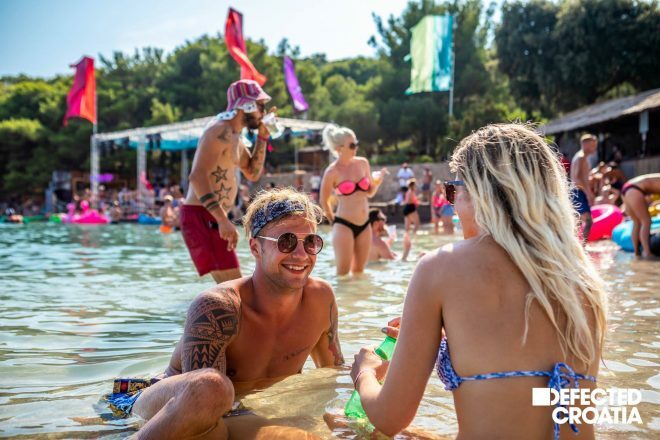 Going even further in establishing Defected Croatia as the world’s best dedicated house music festival, Defected stays true to its intimate family vibe, bringing artists to the festival that are part of the label’s core roster. Returning in 2019 will be the pioneers of the house community Masters At Work, along with Defected Radio presenter Sam Divine, new recruit Jess Bays and Low Steppa with his unmissable driving sets. Also included in Phase 1 are Horse Meat Disco, The Shapeshifters and John Morales, all artists returning to represent Glitterbox which will feature bigger than ever, with the addition of the legendary Jellybean Benitez. The flourishing Classic Music Company crew will also be in full force, bringing back Folamour, Eli Escobar, Luke Solomon and Sophie Lloyd alongside San Francisco stalwart Mark Farina making his festival debut. Early Bird tickets have now sold out, with Phase 1 tickets available at £175+BF. Group tickets and a deposit scheme are also now on sale, see the Defected Croatia website for all details: defected.com/croatia.